Following the separation of Covestro, formerly Bayer MaterialScience, the German giant is reorganising into a Life Science company. From 1 January 2016, the company’s business will be managed by three divisions: Pharmaceuticals, Consumer Health and Crop Science. The current structure of a management holding company and operational subgroups will be replaced by an integrated organisation under the umbrella of the Bayer brand. 'The aim of the new organisation is to provide the best-possible support to Bayer’s strategy as a leading Life Science company and to put ourselves in an even stronger position vis-à-vis our competitors. We can achieve this by further improving our innovation strength, sharpening our customer focus and strengthening business process excellence,' said Marijn Dekkers, Bayer's Chairman of the Board of Management. In the new organisation, Bayer's Board of Management will hold overall responsibility for business operations. The Supervisory Board has appointed Dieter Weinand (Pharmaceuticals), Erica Mann (Consumer Health) and Liam Condon (Crop Science) as Heads of these divisions and to the Board of Management, effective 1 January. 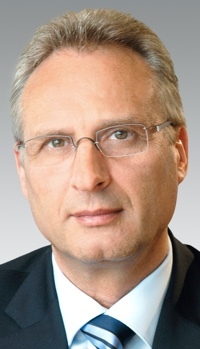 Hartmut Klusik will also join the Board of Management as Labour Director and Board member responsible for Human Resources, Technology and Sustainability. He will succeed Michael König, who has requested that his contract not be extended. 'In recent years, Bayer has continued developing its portfolio with a significant focus on the Life Sciences. The company’s very strong position at this time enables it to concentrate exclusively on these businesses. The logical conclusion of this is greater integration of the organisation,' said Werner Wenning, Chairman of Bayer's Supervisory Board. As part of the reorganisation, the Bayer HealthCare subgroup will be dissolved. The Radiology business will become part of the Pharmaceuticals Division. Consumer Health will comprise the present Consumer Care Division. The Bayer CropScience subgroup will become the Crop Science Division. As a business unit, Animal Health will report directly to Liam Condon. The divisions will focus on core competencies close to their businesses – research and development, production, and sales & marketing. They will be supported by integrated functions such as Human Resources and Procurement, and by global services. Within this context, Bayer’s existing Technology Services company will become the Engineering & Technology function. Bayer Business Services, the company in which information technology and business support services are bundled, will remain a separate legal entity that is to see further expansion. 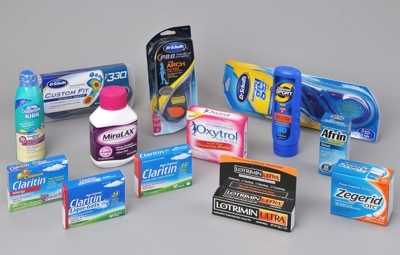 In the future, the company will focus exclusively on the Bayer corporate brand and its product brands. The divisions will not have separate brand identities. Bayer said job numbers are expected to remain stable in the years ahead, both worldwide and in Germany. The future product portfolio of the Pharmaceuticals Division brings together prescription medicines from the general medicine and speciality pharmaceuticals categories and also the Radiology business. The Consumer Health Division will encompass globally known consumer brands from the allergy, analgesic, cardiovascular risk prevention, cough, cold and flu, dermatology, foot care, gastrointestinal, dietary supplement and sun protection categories. The Crop Science Division is active in the seed, chemical and biological crop protection and non-agricultural pest control markets. Animal Health provides products and solutions to prevent and treat diseases in companion and farm animals. From 1 January 2016, the Bayer's Board of Management will have eight members headed by Chairman Marijn Dekkers. Johannes Dietsch will be responsible for Finance; Werner Baumann will oversee Strategy and Portfolio Management; and Kemal Malik will have responsibility for Innovation. The other members are Weinand, Mann, Condon and Klusik. 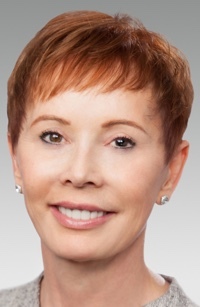 Weinand was appointed to the Bayer HealthCare Executive Committee as Head of the Pharmaceuticals Division on 1 August 2014. Before moving to Bayer HealthCare, he was President, Global Commercialisation & Portfolio Management at Otsuka Pharmaceutical Development & Commercialisation, in the US. 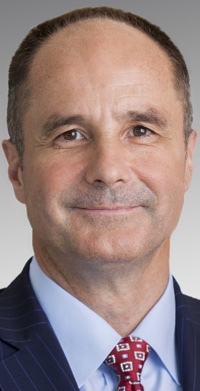 Prior to that, he held various roles at Pfizer and Bristol-Myers Squibb. Mann was appointed to the Bayer HealthCare Executive Committee as Head of the Consumer Care Division in March 2011. She also chairs the World Self Medication Industry Association. Before joining Bayer, her roles included Managing Director of Wyeth in Australia and New Zealand from 2003. In April 2009, she became Senior Vice President for the global Nutrition business. Following the acquisition of Wyeth by Pfizer, Mann moved to the US, where she was President and General Manager of Pfizer’s Nutrition Division and a member of that company’s Senior Management Team. 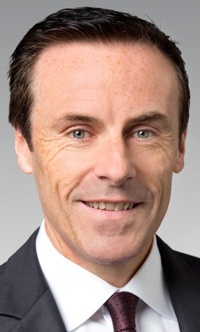 Condon has been Chairman of the Executive Committee of Bayer CropScience and Chairman of the Board of Management of Bayer CropScience since 1 December 2012. Prior to that, he held various positions of increasing responsibility for Bayer’s Pharmaceuticals Division in Europe and Asia. In January 2010, Condon was appointed Managing Director of Bayer HealthCare Germany and Head of Bayer’s Pharmaceuticals business in Germany. Condon is a member of the Board of Directors of CropLife International. Klusik was appointed to the Bayer HealthCare Executive Committee on 5 July 2005, and is responsible for Product Supply at Bayer HealthCare. He is also a member of the management boards of Bayer HealthCare and Bayer Pharma. Klusik began his career at Bayer’s former Wolff Walsrode subsidiary in 1984, where he held various positions of increasing responsibility. In 1990, he transferred to Bayer and was appointed Head of Crop Protection Production in Brazil. This was followed by assignments in the US and Australia. 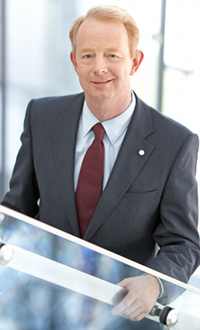 In 1997, Klusik took charge of crop protection active ingredient production in Dormagen and, in 2002, became Head of Active Ingredient Production for Bayer CropScience in Monheim. In 2005, he was appointed Head of the Technical Operations Committee at Bayer HealthCare.